Opioid dependency is becoming a widespread and deadly problem in the US, yet many doctors and health providers are not trained to screen patients and help them get treatment. As a result New York-based health firm Northwell Health and the non-profit organisation Center on Addiction, have released a new app for health care providers that guides them through the process. The Screening, Brief Intervention, and Referral to Treatment (SBIRT) app is designed to be used by providers in a healthcare setting. Available for tablets, it has a standardised set of short questions to use with patients to help identify potentially problematic patterns of drug or alcohol use. If answers identify a moderate to high level of risk for health or social problems due to substance use, the app guides healthcare professionals on how to speak to patients about their readiness to change lifestyles and set new goals. The app also supports the provider in discussions with patients regarding referrals to substance use disorder treatment if needed. 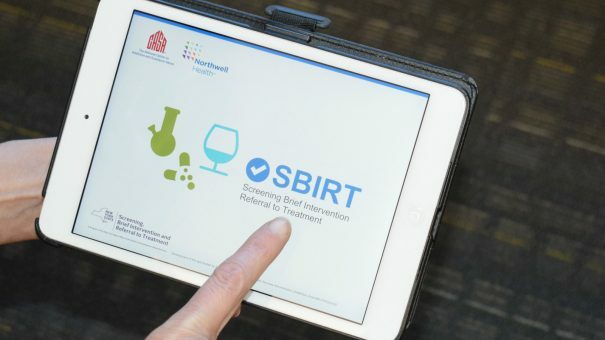 SBIRT is an evidence-based approach that health care professionals can use as part of their clinical toolbox to effectively address risky substance use among their patients. Megan O’Grady, associate director of health services research at Center on Addiction said many doctors are unfamiliar with the approach or have found it difficult to adopt it within their own practices.